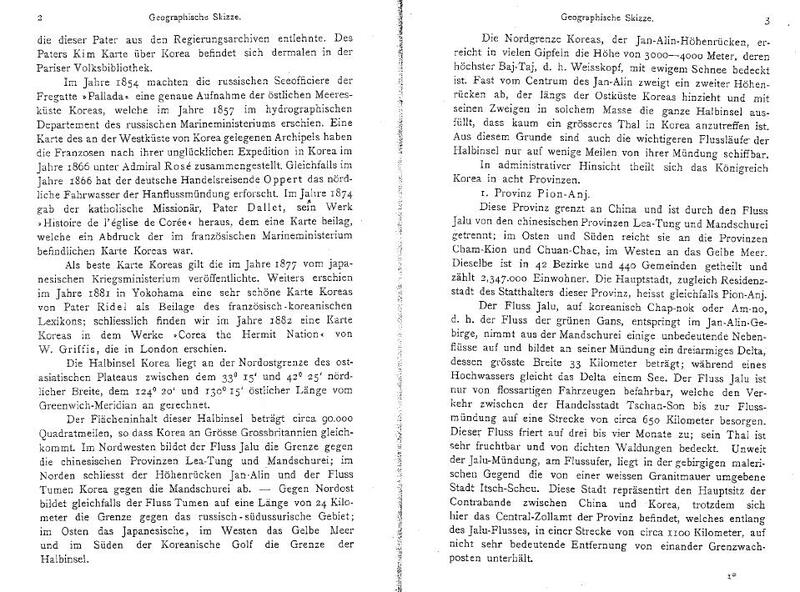 1892년 출판된 러시아외교관 포지오의 저서는 러시아에서 한국에 관한 최초의 저작으로서 1895년 독일어로 번역 출간되었다. 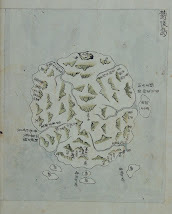 포지오의 저작에 첨부된 지도에는 서도를 올리부차(Оливуца), 동도를 메넬라이(Менелай)로 표기하여 독도를 한국의 영토로 정확하게 포함시켰다. 특히 포지오는 한국의 동쪽 바다의 이름을 동해와 일본해(Японском и Восточном морях)라고 표기했다. 포지오는 19세기 후반 한국쪽 바다를 동해, 일본쪽 바다를 일본해라고 생각하여 이미 동해와 일본해를 병기했다. 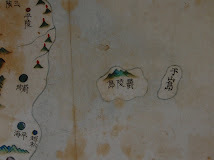 As we can see, Podzhio depicted not only Ulleungdo(О-Лон-То) / Dagelet and Olivutsa(Оливуца) & Menelai(Менелай) on the map but also Tushima and part of Japanese main islands as well. 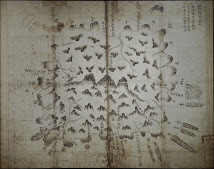 There is no single clue that the mapmaker considered Takeshima/Dokdo as Korean territory at all. 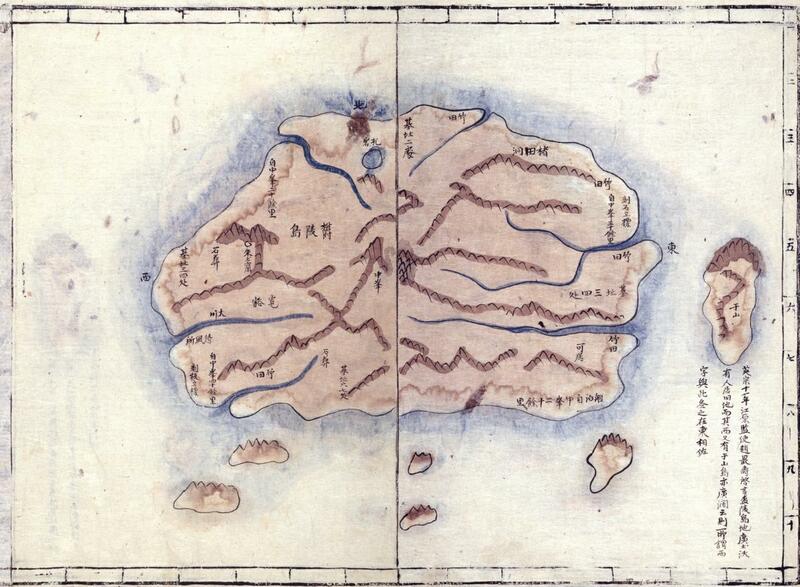 Strangely, he also added phantom island Argonaut. 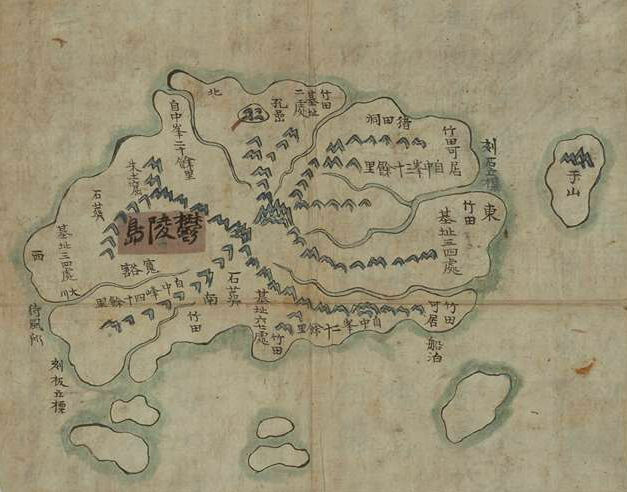 Apparently, NAHF concealed the important fact that Podzhio only mentioned Ulleungdo(Dagelet) in the article of "Gangwon Province (江原道)", which was supposed to include Liancourt Rocks, if he considered the islands "Olivutsa(Оливуца) & Menelai(Менелай)" was Korean territory. 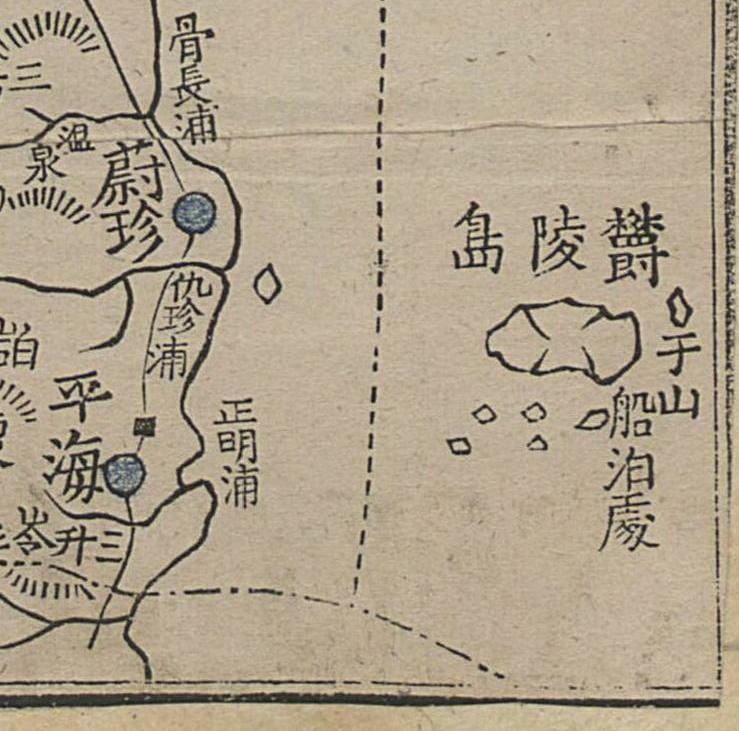 Actually, Podzhio dropped Takeshima/Dokdo from Gangwon-do. 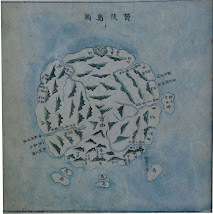 Off course there is no mention of the islands in other Provinces. 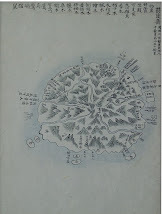 In conclusion, though we have no hint which country Russian Diplomat Podzhio considered "Olivutsa(Оливуца) & Menelai(Менелай)" (Takeshima/Liancourt Rocks) belonged to from this book, it is highly unlikely that he considered it did to Korea, contrary to Korean claim. 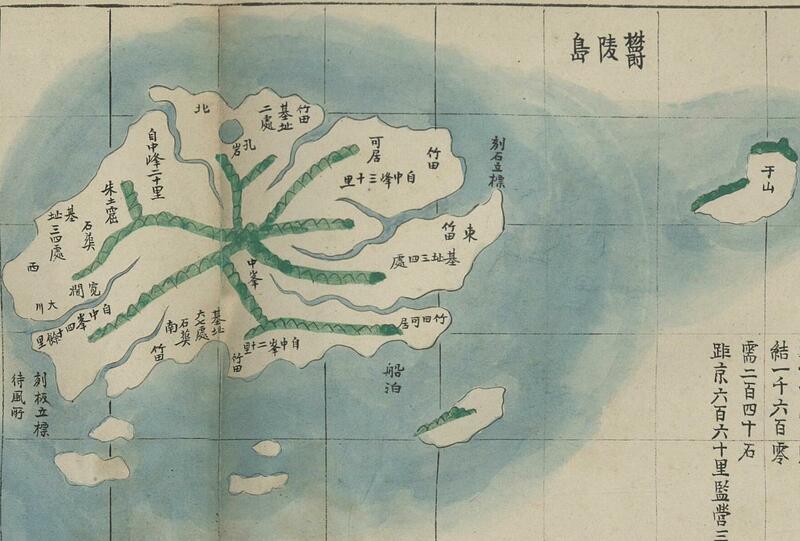 Korean academics should stop this kind of distortion of the historical documents, immediately. 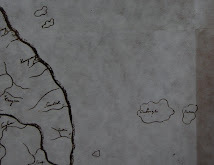 Having said that, if it wasn't for them, we didn't even notice about Podzhio and his book. 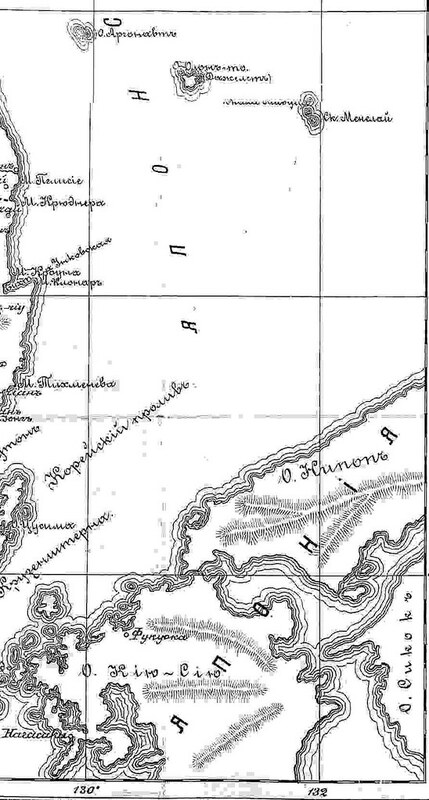 Moreover, while investigation, we have found more important official book by Russian Ministry of Finance published in 1900, which "precisely" erased "Olivutsa(Оливуца) & Menelai(Менелай)" (Takeshima/Liancourt Rocks) from the Map of Korea. 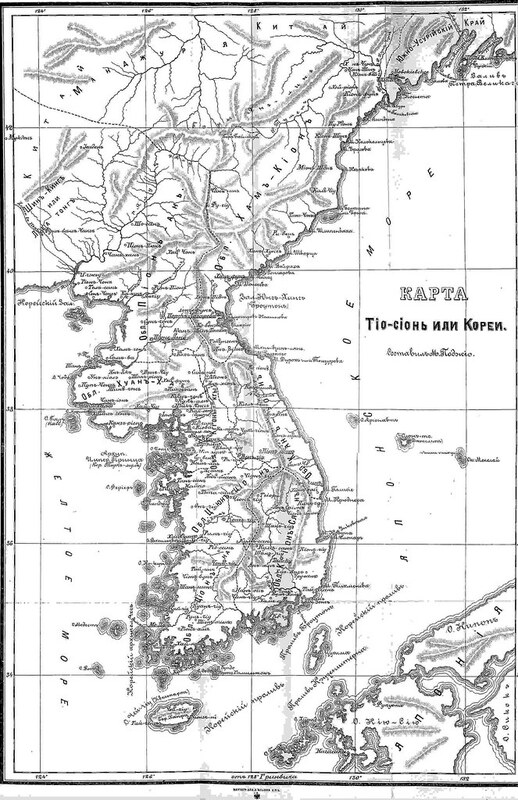 By the way, Podzhio wrote that Korean peninsula's eastern limit was 130° 15′. 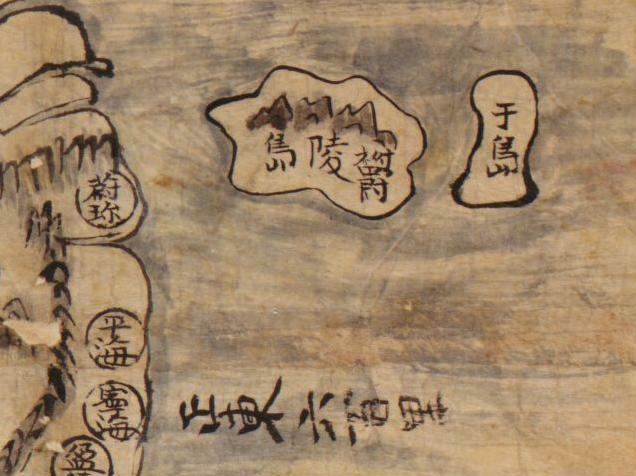 All the documents and translation(Korean to Japanese) were provided by matsu. Thanks, matsu, as always. 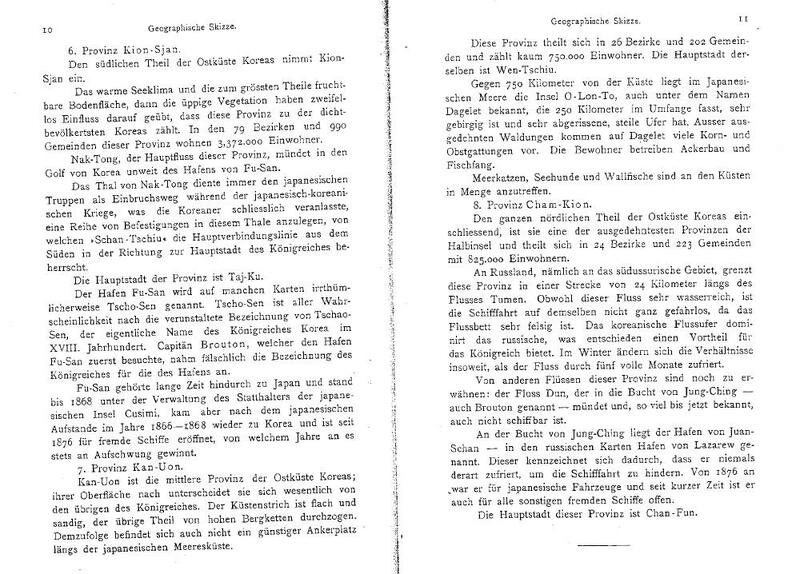 From German Edition published in 1895. 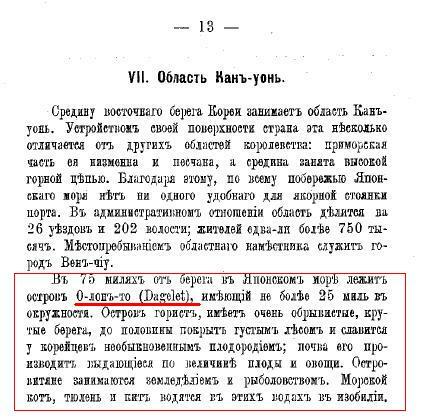 Both original and German translation of Михаил　Александрович　Поджио "Очерки　Кореи" is stored in Japan's National Diet Library. 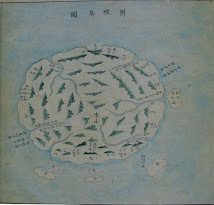 On March 30, the Japanese Ministry of Education approved all the 5 elementary school social studies textbook, which will be used from next year, for fifth and sixth grade that clarify Takeshima as Japan's territory. 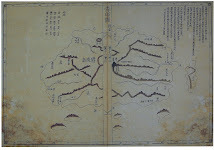 Of the five textbooks that are currently issued, only three contain descriptions of Takeshima. 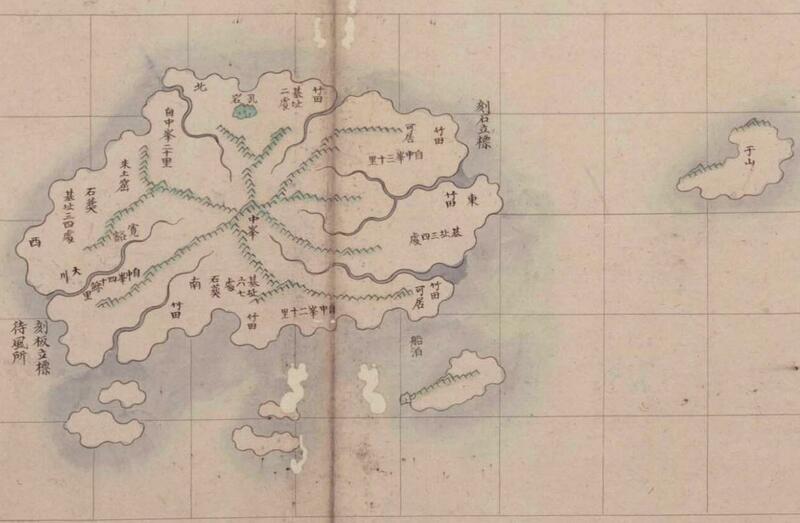 However, this time, Takeshima is clearly depicted in the Sea of Japan on the map of those two. 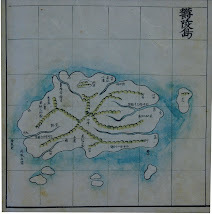 In addition, the national border line was added on the map between Takeshima and Ulleungdo, showing Japan's sovereignty over Takeshima, by accepting the Ministry's opinion. 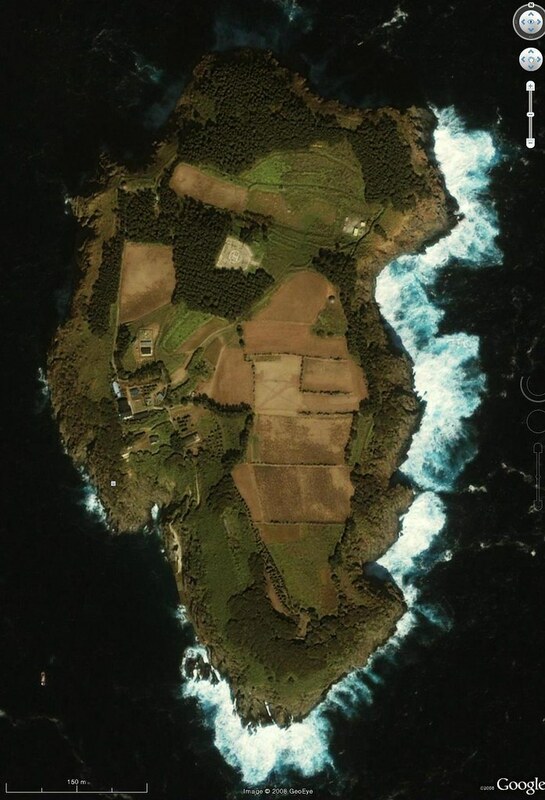 Moreover, one of the books says the islets are "illegally occupied by Korea." 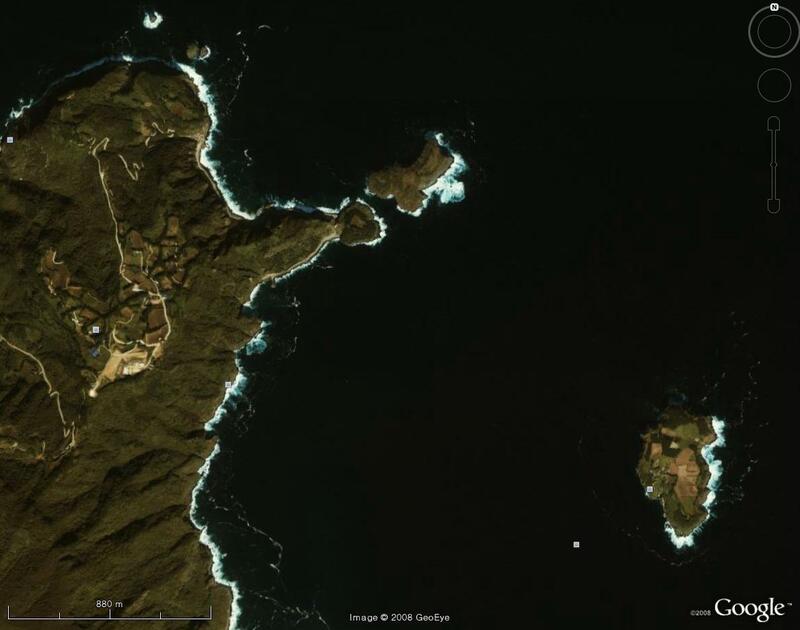 South Korea took a more aggressive stance yesterday against Japan’s claim over Dokdo as President Lee Myung-bak expressed an intention to bolster Seoul’s “effective control” of the islets and the legislature adopted a resolution to denounce Tokyo’s latest move. 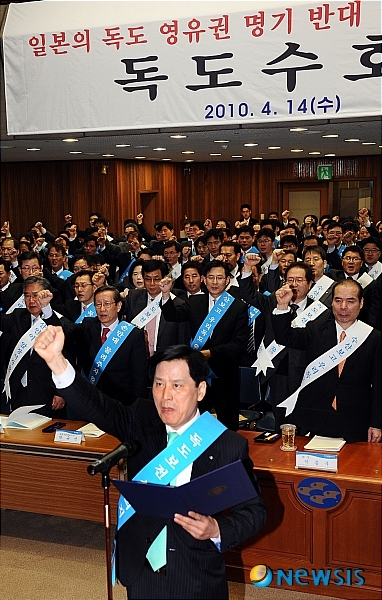 The National Assembly approved yesterday a resolution to condemn Japan’s latest claim. 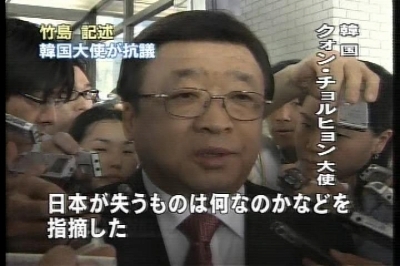 Lawmakers demanded through the resolution that the Japanese government withdraw its authorization of the controversial textbooks. 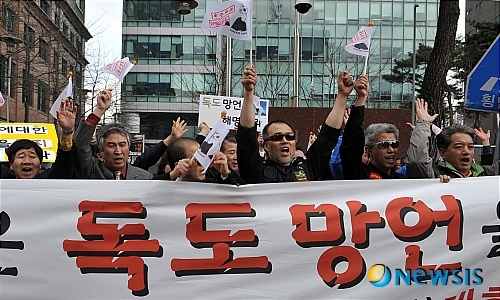 They also warned that Tokyo’s continuous claim will seriously hinder friendship between Korea and Japan. "hinder friendship"? How so? 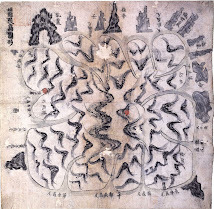 This is Korean way of intimidating Japan, I believe. 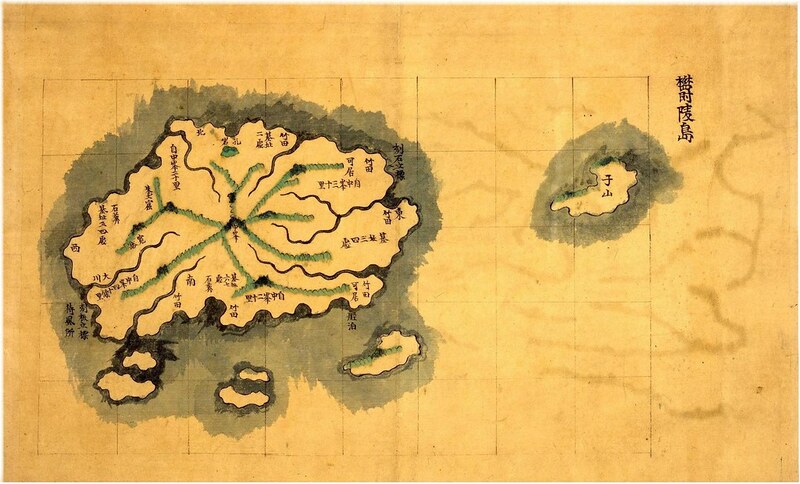 If Korean really need some kind of friendship with Japan, it is necessary for them to admit that Japanese also has own opinion on their territory, even if it antagonizes Korea's view. True friendship means accepting the differences of each other. 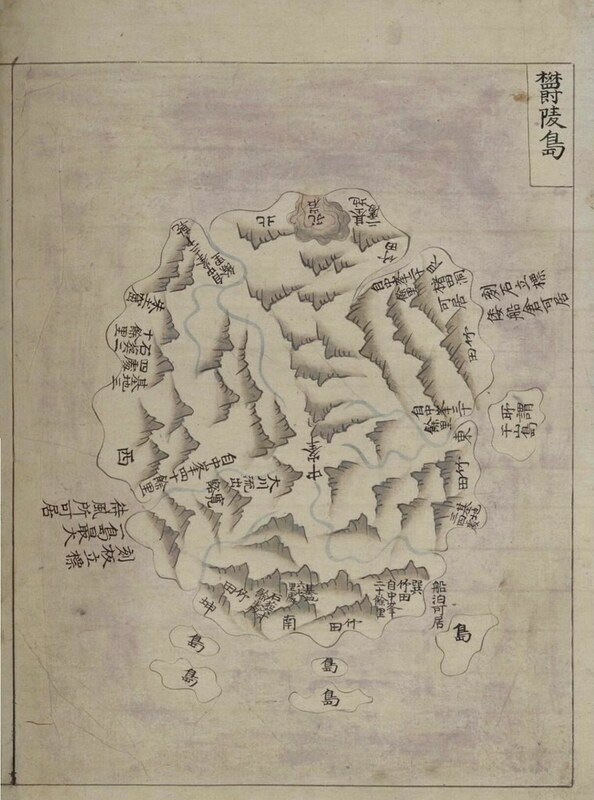 In 2008, South Korea briefly recalled its ambassador to Japan after guidelines for Japanese junior high school teachers guided to teach Takeshima as Japan's territory, just like northern territory, in the classroom. 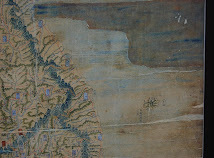 He left with a parting shot "Japan would lose something very important", but soon sneaked back to Japan. 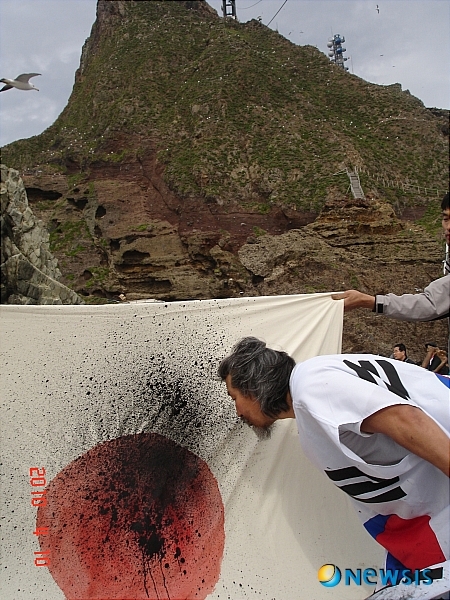 Korean protesters decapitated pheasants In 2005, chopped off their own fingers outside the Japanese embassy following Shimane prefecture’s decision to label the 100th anniversary of Japan’s annexation of the islets “Takeshima Day”. 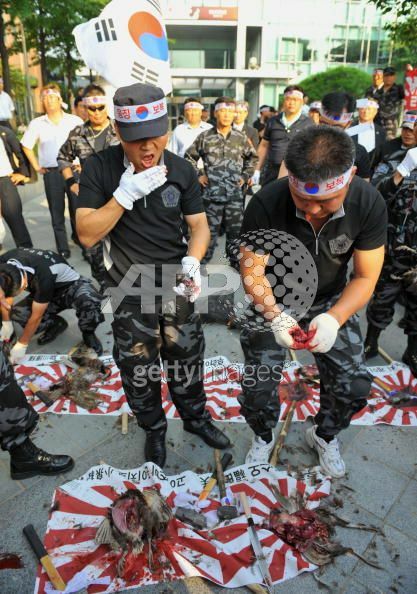 This time, there's no wacky acts like chopping parts of the body by Korean citizens, except for this. 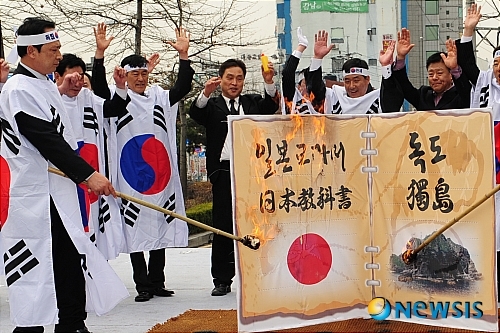 Are they burning Japanese textbook and "Dokdo" as well? What the ...? 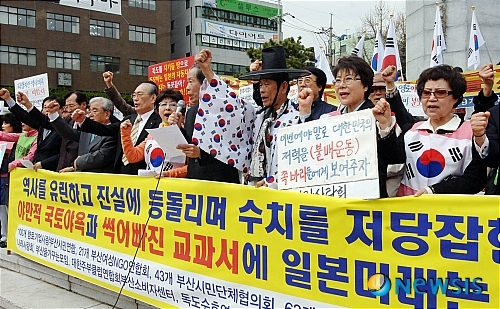 I wouldn't say all the Korean are, but at least the guys dressed in Korean national flag in this photo are total moron. 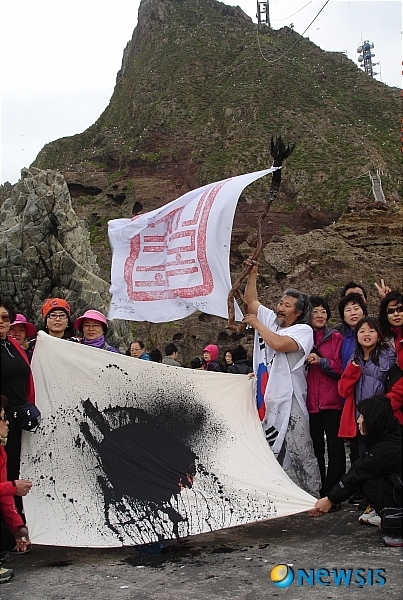 Looks like it wasn't only the eccentric guys, but so many other Koreans joined this kind of silly acts all around Korea. 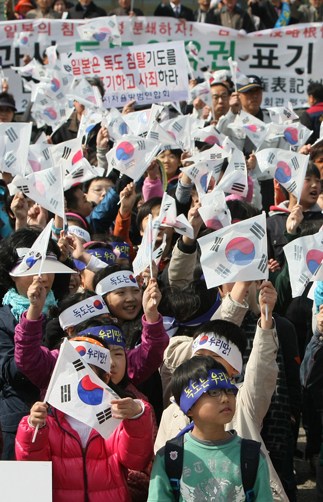 Korean should stop brainwashing and using their own kids for this silly performances immediately.